This site is new and growing fast. It's a great resource for all things Bigfoot. It was formed by people who were getting tired of all the trolls and drama going on at fb/fb and wanted to offer people an alternative to that. Three Strides - A nice place to interact with other Bigfoot enthusiasts. "This group was created to share and learn different aspects of bigfooting. Always welcome are news, views, tips, ideas, personal accounts, etc. Everything is on the table. If you feel it's relevant to bigfoot, post it.."
Washington County Bigfoot Association - Another great group with a lot of good stuff on the Big Fella. "The WABC will keep you up to date with the latest news and headlines both here in Oregon and around the country. Feel free to post Bigfoot related material and please share your stories and encounters or post questions." 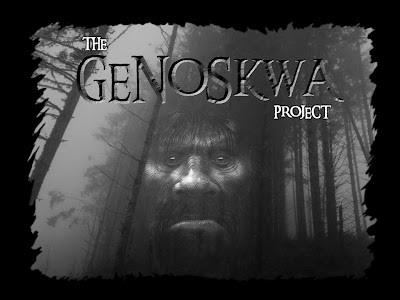 This project is run by a team of Bigfoot researchers based in Ohio.They are an enthusiastic bunch and I really like what they have going on in Ohio. Come check out the Monster-X Radio Group. "We talk about cryptids & the paranormal. Bigfoot, Loch Ness, Mothman, Ufos.... all of them." Show airs Sundays at 7 PM EST. DFRO - This is a great group for people wanting to learn more about Dogman.